GNC Holdings, Inc. (NYSE: GNC) (the “Company”) today announced that it has received consents from approximately 87% of term lenders under GNC Nutrition Centers, Inc.’s credit agreement to extend the maturity date of the term loans held by such lenders to March 2021 and to make certain other modifications to the credit agreement. GNC also announced that Harbin Pharmaceutical Group Holding Co., Ltd (“Hayao”) has agreed that, subject to closing of the amendment in accordance with the Securities Purchase Agreement between the parties, this level of participation in the amendment satisfies the minimum participation requirement in the previously announced $300 million strategic investment and that both parties will continue working together to complete the transaction. Following the closing of the amended and restated term loan facility and the other related transactions, the maturity date of the term loans held by participating lenders will be extended by two years, the Company’s existing Revolving Credit Facility will be cancelled and GNC will enter into a new $100 million ABL Revolver. Concurrently, a portion of the extended term loans will be exchanged for ABL FILO term loans which together with certain newly funded ABL FILO term loans borrowed on the closing date will equal $275 million in aggregate principal amount. GNC expects the amendment and extension transaction will close by the end of February but there can be no assurance in connection therewith. 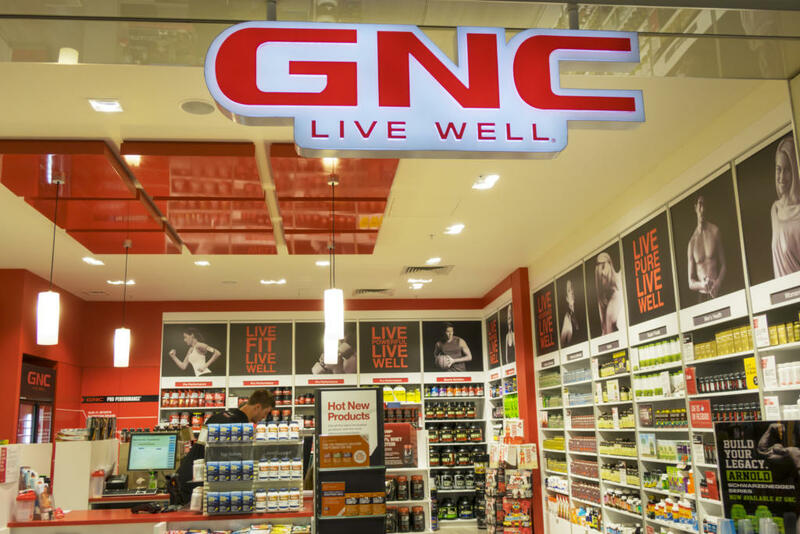 GNC’s diversified, multi-channel business model generates revenue from product sales through company-owned retail stores, domestic and international franchise activities, third-party contract manufacturing, e-commerce and corporate partnerships. As of December 31, 2017, GNC had approximately 9,000 locations, of which approximately 6,700 retail locations are in the United States (including approximately 2,400 Rite Aid franchise store-within-a-store locations) and franchise operations in approximately 50 countries. This communication is being made in respect of the proposed transaction involving GNC and Hayao. A special stockholder meeting will be announced soon to obtain stockholder approval in connection with the proposed issuance of convertible perpetual preferred stock to Hayao. GNC expects to file with the Securities and Exchange Commission (the “SEC”) a proxy statement and other relevant documents in connection with the proposed equity issuance. The definitive proxy statement will be sent or given to the shareholders of the Company and will contain important information about the proposed equity issuance and related matters. INVESTORS OF GNC ARE URGED TO READ THE DEFINITIVE PROXY STATEMENT AND OTHER RELEVANT MATERIALS CAREFULLY AND IN THEIR ENTIRETY WHEN THEY BECOME AVAILABLE BECAUSE THEY WILL CONTAIN IMPORTANT INFORMATION ABOUT GNC, HAYAO AND THE PROPOSED EQUITY ISSUANCE. Investors may obtain a free copy of these materials (when they are available) and other documents filed by GNC with the SEC at the SEC’s website at www.sec.gov, at GNC’s website at www.gnc.com or by sending a written request to GNC at GNC Holdings, Inc., 300 Sixth Avenue, Pittsburgh, Pennsylvania 15222, Attention: Secretary. During the 2018 FASTSIGNS® International Convention held Jan. 17-20 in Houston, Texas, FASTSIGNS franchisees and their employees, vendors and FASTSIGNS International, Inc. corporate staff participated in the second “FASTSIGNS Community Giveback” to donate care packages for the Michael E. DeBakey Veterans Affairs Medical Center. On Jan. 20 during the FASTSIGNS Community Giveback Breakfast with a Purpose, 375 care packages were assembled. Draw string bags were filled with blankets, socks, hats, playing cards, puzzle books, personal hygiene items and handwritten notes of appreciation. Members of the FASTSIGNS International corporate team visited the VA medical center to deliver the care packages and a banner thanking military members for their service. 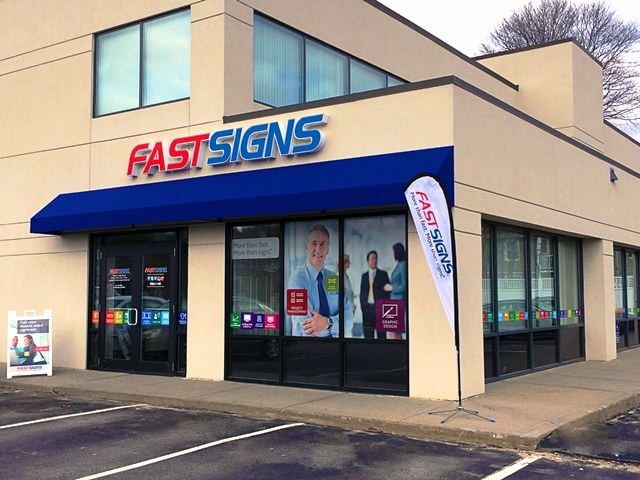 Thanks to the FASTSIGNS Community Giveback sponsors 4Ever Products, Canon Solutions America, Colex Finishing Inc., Custom Products Corporation, EPSON, Grimco, Listen360, Miller Weldmaster, N. Glantz & Son and Sign Source USA for their generous contributions to raise $6,750 for the donation items. 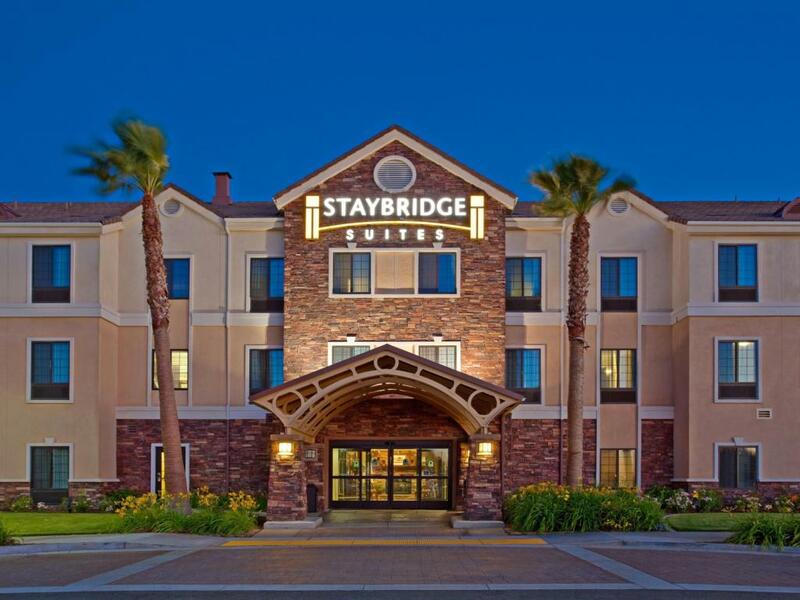 Staybridge Suites, the much-loved extended-stay brand from IHG (InterContinental Hotels Group), on February 22 unveils a new design for its future openings at Business Travel Show London 2018. Building on Staybridge Suites’ brand hallmarks; The Pantry, Evening Socials plus 24-hour fitness and laundry facilities, the stylish new communal spaces will offer even more places to work, meet or relax. The flexible design and communal kitchen layout breaks down the barrier between hotel guests and staff, giving it a more home-like feel, according to IHG. Room designs are kept neutral allowing guests the opportunity to personalise their space and make it their own, allowing them to feel even more at home when they stay at Staybridge Suites. The new hotel design will enhance the guest experience as well as provide more flexibility. Staybridge Suites is set to double its size in Europe over the next two years, opening 7 new properties and entering new markets such as Poland, The Netherlands and Germany. The upcoming openings will reflect the new design approach across guest rooms and public spaces. The next opening in Europe for the global long-stay brand will be the 116 room Staybridge Suites Manchester – Oxford Road. Due to open in spring, guests will be welcomed by a bright and contemporary lobby making them feel immediately at home. With free Wi-Fi, a 24-hour fitness room and 24-hour laundry, Evening Socials a few nights a week, breakfast included and a fully equipped kitchen in every suite, this new look Staybridge Suites property is the perfect way to feel at home in Manchester. Staybridge Suites The Hague – Parliament will open later in 2018 followed by Staybridge Suites Dundee, Staybridge Suites London – Heathrow Bath Road, and Staybridge Suites Warsaw – Ursynow. In Europe, there are currently 7 open Staybridge Suites hotels. Globally there are 255 open with 160 more in the pipeline. Staybridge Suites Buyers can find Staybridge Suites at the Business Travel Show, Stand B665 on 21-22 February 2018 at London’s Olympia. 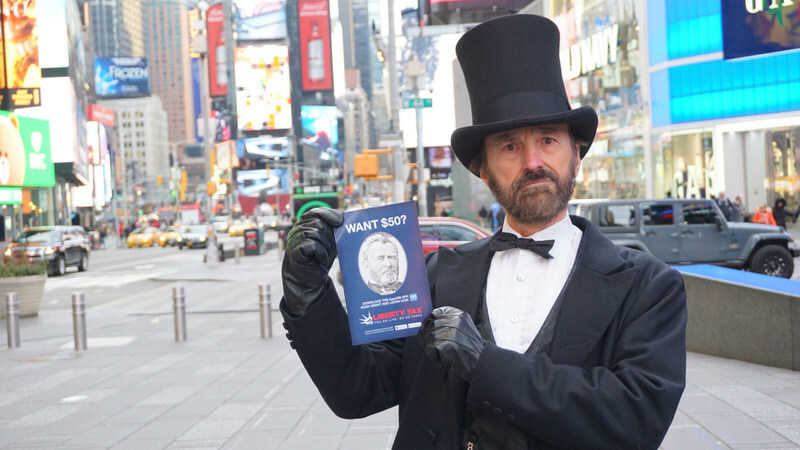 For this tax season, Liberty Tax (NASDAQ: TAX), a leading tax preparation franchise, has launched a customer referral incentive program supported by Augmented Reality (AR) and the 18th president of the United States. The AR incentive component is part of a new brand platform created this tax season that’s designed to resonate with the company’s key audiences. “You Do Life. We Do Taxes.” appears on in-store collateral at franchises nationwide, as well as on digital channels, social media networks and in local radio and television ads. Founded in 1997 by John T. Hewitt, Liberty Tax, Inc. (NASDAQ: TAX) is the parent company of Liberty Tax Service. Last year Liberty Tax prepared over two million individual income tax returns in more than 4,000 offices and online. Liberty Tax’s online services are available through eSmart Tax, Liberty Online and DIY Tax, and are all backed by the tax professionals at Liberty Tax locations and its nationwide network of seasonal tax preparers. Liberty Tax also supports local communities with fundraising endeavors and contributes as a national sponsor to many charitable causes. For a more in-depth look, visit Liberty Tax Service and interact with Liberty Tax on Twitter and Facebook. Auntie Anne’s®, the world’s largest hand-rolled soft pretzel franchise, turns 30 this year and is calling on the pretzel-loving public to help ring in this delicious milestone. From now through March 2, fans can rejoice in three decades of pretzel love by RSVP’ing ‘yes’ to Auntie Anne’s 30th birthday bash at HBDAuntieAnnes.com. One million RSVPs will unlock a Free Pretzel Party on March 3. With more than 1,700 locations in 48 states and more than 25 countries, Auntie Anne’s mixes, twists and bakes pretzels to golden brown perfection all day long in full view of guests. 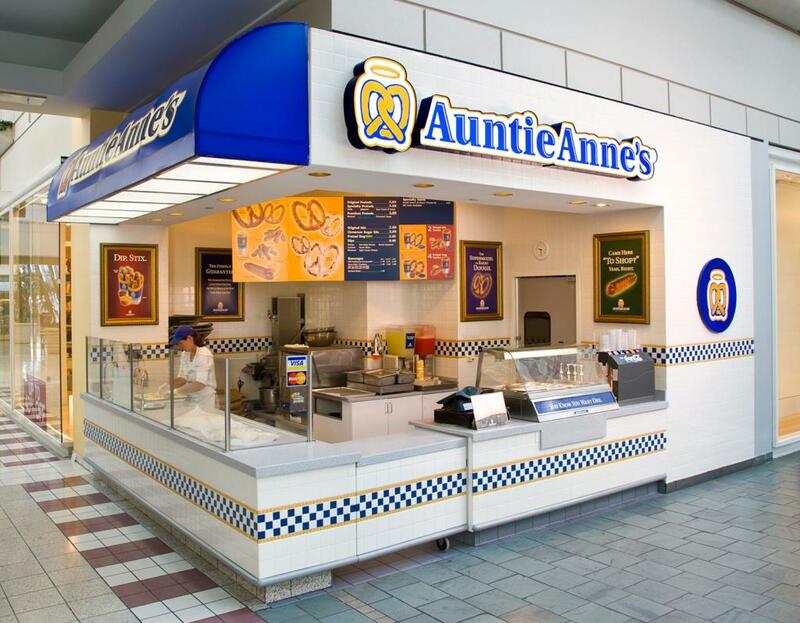 Auntie Anne’s can be found in malls and outlet centers, as well as in non-traditional spaces including universities, airports, Walmarts, travel plazas, military bases, and food trucks. For more information, visit AuntieAnnes.com, or follow on Facebook, Twitter and Instagram. To receive the latest offers – including a free pretzel for your birthday – download the My Pretzel Perks app. Sport Clips Haircuts, the nation’s leading men’s and boys’ hair care provider, has promoted the head of its real estate department, Greg Smith, to the newly created role of chief development officer to combine the strength of its site selection and franchise development work. To further support the move, Jessica Zavala Rossy will become the new director of real estate, and Dave Wells will work with the team as senior director of franchising. Smith headed the company’s real estate team for more than a decade and has been in the industry 17 years, and he has been recognized as one of the “Top 10 Real Estate Executives Under 40” by Chain Store Magazine. Zavala Rossy has 15 years of real estate experience, and the past five years of Wells’ 15 years in franchise development experience has been with Sport Clips. Based on demand, the newly formed team is looking at the company’s mature markets for additional growth and recently reopened several markets in California, Florida, Rhode Island, Texas and Wisconsin. They expect to soon open more markets in Alabama, Indiana, Kentucky, Louisiana and Mississippi. 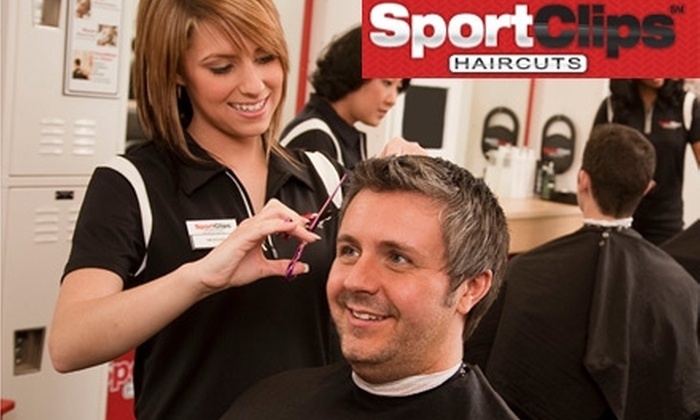 For more information about Sport Clips Haircuts as a franchise investment opportunity, visit SportClipsFranchise.com. Sport Clips Haircuts is headquartered in Georgetown, Texas. It was established in 1993 and began franchising in 1995. The sports-themed haircutting franchise, which specializes in haircuts for men and boys, is ranked by Entrepreneur Magazine as one of the “Fastest-Growing Franchises” and in the top 10 in its “Franchise 500.” There are more than 1,700 Sport Clips stores open in the U.S. and Canada. Sport Clips is the “Official Haircutter” of the Veterans of Foreign Wars (VFW), offers veterans preferential pricing on haircuts and franchises, and was named a “2018 Best for Vets: Franchises” by Military Times. Sport Clips provides “haircuts with heart” through its annual Help A Hero fundraiser that has given $5 million to the VFW; national partnership with St. Baldrick’s Foundation, the largest private funder of childhood cancer research grants; and other national and local philanthropic outreach. Sport Clips is a proud sponsor of Joe Gibbs Racing’s NASCAR drivers Denny Hamlin and Erik Jones, and partners with numerous NCAA and professional sports teams. To learn more about Sport Clips, visit sportclips.com. For franchise opportunities, visit sportclipsfranchise.com. The International Franchise Association’s (IFA) Foundation announced today the grand prize winners of its 2018 NextGen in Franchising Global Competition, sponsored by the Frederick A. DeLuca Foundation and Subway International, which was held at IFA’s 58th Annual Convention in Phoenix, AZ. The four millennial entrepreneurs — who hailed from the United States and Kenya — were selected from a group of 19 winners of the Global Competition, a worldwide program that engages millennial entrepreneurs seeking to grow their businesses through the franchise business model, and the only business incubator in the world focused on franchising. Shark Tank star Daymond John led a panel of judges for the final round of the Global Competition on Tuesday, Feb. 13, when each participant pitched their business concept to John and a panel of industry experts, as part of a convention with nearly 4,000 attendees, for the chance to win an investment of $5,000 – $10,000 to help grow their business. In addition to John, judges included Tariq Farid, CFE, founder and CEO of Edible Arrangements, and David Mortensen, CFE, founder and CEO of Anytime Fitness. This year, Landon and Kat Eckles, founders of Clean Juice Franchising, LLC, took home first place, which included a $10,000 cash prize. Devan Kline, founder and CEO of Burn Boot Camp, and Andrew Cameron, founder of Donutology, each received $5,000. The judges also awarded a $5,000 prize to Stella Sigana, founder of Alternative Waste Technologies, a social enterprise franchise. Since the program’s inception in 2015, nearly 2,000 millennial entrepreneurs from more than 75 countries have applied. 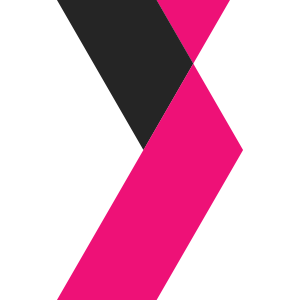 Many NextGen winners have been featured in top business publications such as The New York Times, Inc., and Fast Company, among others. Andrew Cameron, founder of Donutology (United States). As a donut lover and savvy entrepreneur, Cameron discovered that purchasing donuts isn’t an interactive experience. He realized the product is often boring and cookie cutter — a one-size-fits-all mentality. The ingredients typically aren’t premium and not yielding a quality product. Like pizza, coffee drinks, and ice cream, Cameron believed that donuts deserved the opportunity to be customized and imagined by the customer. With six previous donut shops under his belt, Cameron founded Donutology in 2016 with the concept of made-to-order mini donuts alongside popular Classic donuts and developed a suite of donut-themed treats to give Donutology a unique twist. Landon and Kat Eckles, founders of Clean Juice Franchising, LLC (United States). Husband-and-wife team Landon and Kat Eckles recognized the growing trend where people are now investing in their health, often spending more money on food than clothing. The entrepreneurs founded Clean Juice, the only USDA-certified organic juice bar franchise, with the mission of inspiring others to be healthy in body and strong in spirit. Products include acai bowls, juices, juice cleanses, smoothies, oat bowls, custom toast products, and other healthy snacks. Clean Juice now has 27 open locations, with another 75 in development, and an average unit volume of $1 million (per Franchise Disclosure Document, Item 19, 2017). By 2021, Clean Juice Franchising expects to have 500 stores nationwide. Devan Kline, founder and CEO of Burn Boot Camp (United States). Kline was brought up in a low-income neighborhood of Battle Creek, Michigan. His mother and father were both victims of each other’s domestic violence, which often would trickle down to Kline and his siblings. Throughout his career with the San Francisco Giants and at Central Michigan University, Kline developed this passion for fitness. Since opening the first Burn Boot Camp franchise in 2015, Kline and his wife, Morgan, have grown the brand to over 120 locations, with a projected 169 to open this year and a goal of awarding 1,000 worldwide in the first six years. In 2018, Burn Boot Camp’s revenue is projected to reach $80 million in just its fourth year of franchising. Stella Sigana, founder of Alternative Waste Technologies (Kenya). Founded in 2015, Alternative Waste Technologies (AWT) is a mission driven social enterprise focused on tackling energy poverty by producing clean fuel for cooking while significantly improving the air quality in homes. Seventy percent of Kenya’s population relies on charcoal as their main source of energy, yet 20,000 people — mostly women and children — die each year because of indoor air pollution. AWT produces fuel briquettes through conversion of organic agricultural and charcoal waste from slum settlements. The briquettes have zero smoke, no odor, and provide an efficient source of fuel. To date, AWT has recycled over 150 tons of waste into fuel briquettes for cooking and empowered 80 out-of-school youth and women entrepreneurs in slum settlements to build businesses by selling briquettes directly to communities. 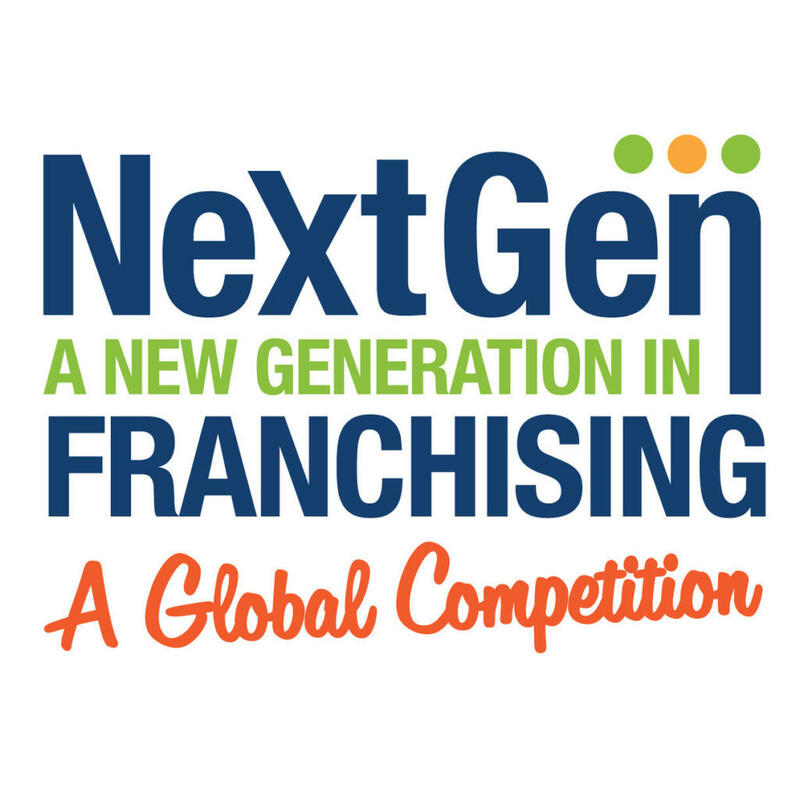 The additional 2018 NextGen in Franchising Global Competition winners include: Bazil Mwotta Biddemu, AgroDuuka (Uganda); Danny Park, RoboThink, LLC (United States); Dillon Orr, Johnny On The Spot Mobile Wash (United States); Ernie Beltz, Jr., Little Land Play Gym & Pediatric Therapy (United States); Gerardo Escudero Samara, Chillout Lounge (Nicaragua), Edwin Inganji (Kenya), Usalama Tech Group Limited (Kenya); Jeremy Dyer, Total Fitouts (Australia); Jerod Evanich, A Place At Home (United States); Ma Jonalyn Sison, Skinpotions Inc (Philippines); Marko Kasic, FundLife International / Football for Life Academy (Philippines); Matej Varhalik, SpeedFit (Australia); Milan Szabo, Anjuna Ice Pops (Hungary); Robert Bruski, Ctrl V (Canada); and Wyatt and Aiden Booth, Hopscotch (Canada). Aaron Smith, founder and CEO of KX Pilates, also was recognized at the Annual Convention as the Franchise Council of Australia’s 2018 NextGen competition winner. NextGen winners received a spot at the NextGen in Franchising Summit, a two-day educational and networking program for next generation entrepreneurs at the IFA Annual Convention, an accelerator program with industry leaders and CEOs; an opportunity to participate in the final round of the NextGen in Franchising Global Competition for a chance to win a monetary investment to help grow their businesses; and opportunities to network with leading franchisors, franchisees and suppliers and with other young entrepreneurs. Winners of the NextGen in Franchising Global Competition also had the opportunity to learn within The Shark Group’s entrepreneurial training program called “InnerVation Lab,” which is led by a world-class expert in entrepreneurship. The NextGen in Franchising program is made possible due to the generosity of its donors and sponsors, which include David McKinnon, the founding sponsor; the Stewart & Jane Bainum Fund; Lawrence “Doc” Cohen, Doc & Associates; Stephen P. Joyce Fund; Choice Hotels Foundation; J. Willard and Alice S. Marriott Foundation; Tariq Farid, Edible Arrangements; Charlie Chase, FirstService Brands; Aziz Hashim, NRD Holdings; Joe Bourdow, Valpak; the Frederick A. DeLuca Foundation/Subway; Tony Valle, ELM Perform; Dave Mortensen, Anytime Fitness; and Melanie Bergeron, Two Men & A Truck Intl. For more information about the NextGen in Franchising Global Competition, please contact Ashley Davidson at adavidson@fish-consulting.com or +1 305-298-8022. Founded in 1983, the International Franchise Association (IFA) Franchise Education & Research Foundation is a 501(c)(3) tax-exempt organization and supported through the generous contributions of IFA members and others. The Foundation’s mission is to advance franchising and the free enterprise system by increasing the knowledge and professional standards of all members of the franchising community; educating the next generation of franchise practitioners; increasing recognition of franchising’s key role in the free enterprise system; and providing comprehensive information and research about important developments and trends in franchising. Celebrating 56 years of excellence, education and advocacy, the International Franchise Association is the world’s oldest and largest organization representing franchising worldwide. IFA works through its government relations and public policy, media relations and educational programs to protect, enhance and promote franchising and the more than 733,000 franchise establishments that support nearly 7.6 million direct jobs, $674.3 billion of economic output for the U.S. economy and 2.5 percent of the Gross Domestic Product (GDP). IFA members include franchise companies in over 300 different business format categories, individual franchisees and companies that support the industry in marketing, law, technology and business development. According to U.S. News, about 80% of New Year’s resolutions fail by the second week of February. But that’s not the case for Gold’s Gym Franchising LLC, where business is stronger than ever. The world’s most iconic fitness chain will flex its muscle even more in 2018, with plans to expand beyond its 700+ locations in 28 countries around the world. “The demand for Gold’s Gym is dominating new domestic and international markets and the results speak volumes not only for our franchise owners and master developers but also for our 3 million members living stronger and healthier lives,” said Craig Sherwood, Senior Vice President of Franchise and Licensing for Gold’s Gym. International growth included 15 new gyms in India, seven new gyms in Japan, and rapid expansion in Saudi Arabia where Gold’s Gym will more than double in size to 21 gyms this year. Gold’s Gym Egypt celebrated its 20th anniversary. A new agreement was awarded for Iraq. “Our global footprint is in the best shape financially and physically to make 2018 our strongest year to-date,” said Ken Phipps, Director of Global Franchising Development for Gold’s Gym. Gold’s Gym plans to expand in Europe, China and Qatar as domestic franchise development also targets another 25 gyms in the U.S. across hot markets including Tampa; Orlando; Minneapolis; San Jose, Calif.; Atlanta and the New York metro area. Meanwhile, consumer demand continues to escalate. According to a recent survey, Americans now spend more on fitness in their lifetime than they do on college tuition. In a search to fit physical and mental well-being into busy lifestyles, men and women invest an average of $155 per month on gym memberships, personal trainers, meal supplements and workout gear. Those features have helped Gold’s Gym achieve a 20.73% EBITDA for the domestic investor, attracting a crowd of franchisees seeking a healthy business and healthy profits with a dominant global brand. Togo’s Great Sandwiches (www.togos.com) the “California Original” known for its big, fresh, and meaty sandwiches, continues to offer exciting menu items with a relentless focus on premium taste and quality. Now featuring 20% more zesty lemon pepper tuna, Togo’s seasonal favorite is a welcome flavor for spring. 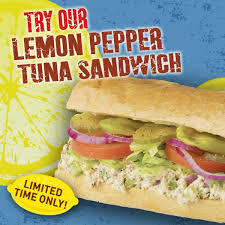 For an even more delicious deal, participating Togo’s locations are offering a regular Lemon Pepper Tuna Sandwich and 20 oz. fountain drink for just $6.50 on Fridays through March 23rd. The Lemon Pepper Tuna Sandwich starts with 100% Albacore tuna, seasoned with tangy lemon and cracked black pepper, then hand-mixed in store with diced celery, red onions and lite mayonnaise. Prepared on artisan wheat bread that is delivered fresh 7 days a week, this exceptional sandwich is served Togo’s Style with crisp iceberg lettuce, tomatoes, sweet red onions, tangy pickles and traditional whole pepperoncini. For cheesy melty goodness, Togo’s also offers the Lemon Pepper Tuna Melt on their fresh San Francisco style sourdough bread, toasted with cheddar cheese and served Togo’s Style. Togo’s loyal fans can find Lemon Pepper Tuna at over 220 locations for a limited time only. Togo’s was founded in 1971 by a young college student with a large appetite and little money looking to make sandwiches the way he liked them — big, fresh and meaty. Today that spirit of the founder and original sandwich shop continues. Togo’s products are still made with only the highest quality ingredients; including fresh Artisan breads, hand sliced premium pastrami, turkey and roast beef, as well as Hass avocados hand-mashed in restaurant every day. With nearly 250 locations open and under development throughout the West, Togo’s is a franchise-based business that offers a terrific opportunity for those new entrepreneurs that would like to own their own business. Jack in the Box Inc. (NASDAQ: JACK) will report first quarter fiscal 2018 operating results after market close on Wednesday, February 21, 2018, and the company will host a conference call to review the results on Thursday, February 22, 2018, beginning at 8:30 a.m. PT. The call will be webcast live over the Internet. 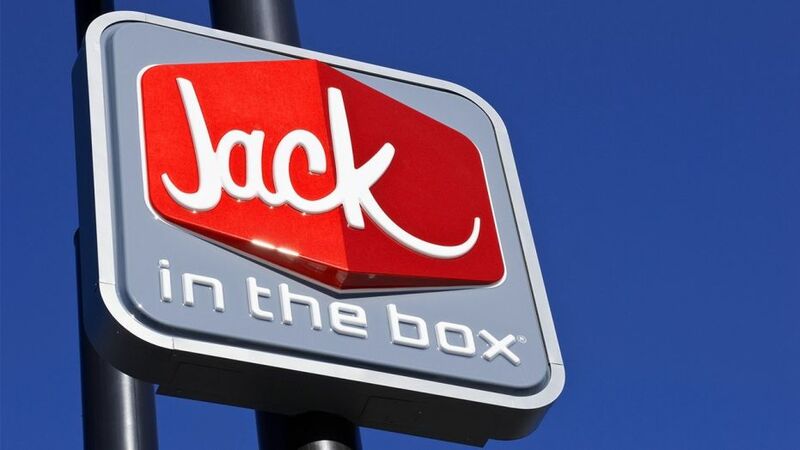 To access the live call through the Internet, log onto the Jack in the Box Inc. investors page at http://investors.jackinthebox.com at least 15 minutes prior to the call in order to download and install any necessary audio software. A playback of the call will be available through the conference-call link on the Jack in the Box Inc. investors page beginning at approximately 11:30 a.m. PT on February 22, 2018.